9 cities, 6 countries, over 20,000 votes but just 1 winner in the 2018 edition of SoolNua’s #worldICECREAMindex: Rococo Artisan Ice Cream from Kennebunkport, Maine, USA. With strong support from the local Kennebunkport community, Rococo secured 1st place following an exciting scramble to the top with The Long Dock at Loop Head, Co Clare, Ireland who finished in close 2nd, only 207 votes between the winner. Congratulations to Lauren Guptill and the Rococo Artisan Ice Cream team for their hard work and dedication in the #worldICECREAMindex! However, they did not do it alone. 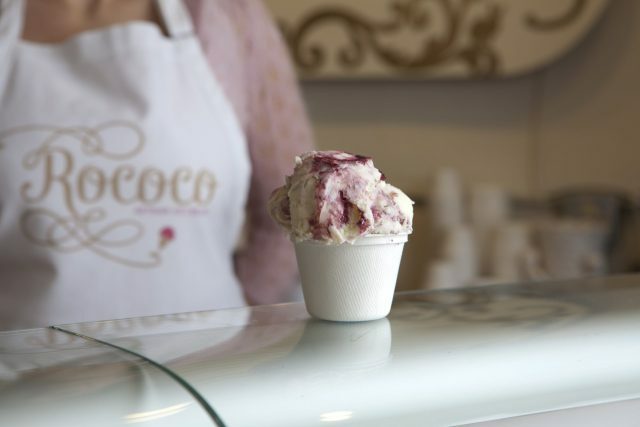 Rococo Artisan Ice Cream was supported by Go Kennebunks (the local Chamber of Commerce) and Tiffany Dasilva from Dasilva Consulting who strategized Rococo’s social media campaign securing 3034 votes, or almost 15% of the total votes cast. Lauren Guptill, Owner of Rococo Artisan Ice Cream, said that the entire Rococo team is so excited to win the SoolNua World Ice Cream index. She doesn’t think she slept a minute during the last 12 hours, she must have refreshed the leaderboard 1000 times! And winning by 207 votes (which just so happens to be Maine’s area code) was really special, the cherry on the top of a great ice cream competition. They are honored to represent Kennebunkport and Maine in such a unique way!! The SoolNua Index is becoming the Ryder Cup of the ice cream world with Europe and the US alternating as winners over the past 4 years! With input from Go Kennebunks and Dasilva Consulting, Rococo has done a wonderful job at creating a global profile for a real hidden gem located on the Maine coastline. The Index proves yet again how ice cream can be a great hook for effective destination marketing, stated Patrick Delaney, Managing Director of SoolNua. Pádraic Gilligan, Managing Director of SoolNua added that Rococo’s impressive win this year demonstrates how a well marshaled social media campaign can deliver profile and awareness for destinations and brands way beyond size or relative importance. Rococo is an independent store in a town of fewer than 5000 inhabitants and yet it is now known throughout the world of Business Events. Massive kudos to Lauren Guptill and her marketing partner, Tiffany Dasilva. Full rankings for the 2018 participating ice cream stores may be viewed here. SoolNua is a specialist agency working with destinations, venues, and hotels on strategy, marketing, and training for the MICE market. The #worldICECREAMindex is a SoolNua initiative aimed at highlighting the different, disruptive ways that destinations can build brand awareness.